There will be a time when you current web hosting plan needs to be upgraded. With an increase in traffic, your server is going to require more resources to process the requests. This is where a dedicated server can really help you. A dedicated server is exactly what it sounds like. It is a server completely dedicated to only our website. This gives you full resources on hardware and software. This is a must have for high traffic or e-commerce sites with a lot of requests. When you first start doing your own web hosting, most of the time you are a shared hosting plan. This is when you share a server with hundreds of other sites. You all share the system resources and bandwidth to the server. 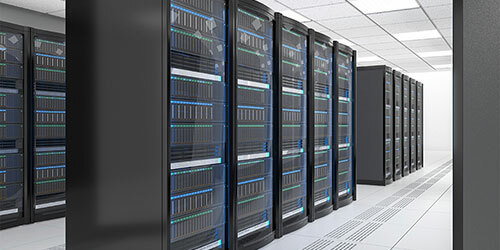 With a dedicated server, you have full rain over both system resources and bandwidth. The whole server is just for you. This gives you full customization of the hardware and software that the server runs. With full root access to all files and directories. If there is any type of setting or software you want to run, simply make the change. When you have your own dedicated server there is some drawback that you are responsible for. Even with managed hosting plans, there is a lot of maintenance that you are required to do. This includes software updates, security patches, SSH management, and optimizing server performances. There are companies that will help you with some of these daily tasks but for the most part, you need to do it. The number one reasons a dedicated server may push some people away is the cost. Running your own server cost a lot more than a shared server. Because you are the only one using it, you will pay for it. Now to find a provider that offers dedicated server packages. There are many places on the web that offer dedicated servers. Watch out for the usual marketing tricks and read the fine print. Make sure you understand what hosting features are included. First stop 1&1 Hosting. These guys have great pricing on dedicated servers. They offer small and big packages depending on what your website needs. If you're starting to get an increase in traffic, you probably only need the bottom package. If you're getting ten thousand plus, you may want to get the most resources you can afford. One place that is solid is for dedicated servers is Hostgator.com. They have multiple plans, so you can find the perfect one that will fit your website. With complete control and your choice of Linux or Windows operating system. HostGator can supply you will the necessary tools to take your website to the next level. Another company you might want to at for a dedicated server is GoDaddy.com. They a variety of different dedicated server hosting plans to fit your budget. With the options of Linux or Windows operating systems. GoDaddy has great customer support and offers extra bonuses with all plans. Including a free one year SSL certificate and unmetered bandwidth. This is a great perk if you are planning on running an e-commerce store. If your still not sure which way to take your site. Do some research and learn more. Your hosting is the backbone to your website's success. Having a slow or unreliable hosting plan with not only make you lose customers but also affect your search engine ranking. Pay attention to what your website needs. Try to pull data of how much resources you are currently using. If you are seeing downtime or slow speeds. This could be an indicator that it's time to upgrade your server. It is very important to know whether you need dedicated server hosting or other type of hosting. Dedicated server hosting gives good result when you have your online business and doing promotion activities. Thanks.